The week of May 4-8 is Teacher Appreciation Week. This week is an opportunity to reflect on the impact that teachers have had on our own lives when we went to school and to also thank our children’s teachers for their hard work and the positive effect that they have on our students. Please join me for the next few minutes, as I share with you some stories of a few of our current students who, through the support of many of our teachers, have overcome challenges and blossomed as students. 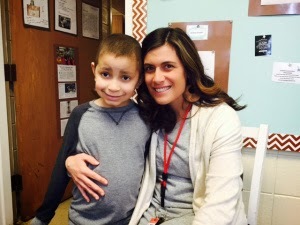 First, meet Ottavio, a first grade student at the J.W. Killam elementary school. In September, 2014, Ottavio was diagnosed with Medulloblastoma, a highly malignant brain tumor. Since September, this little boy has endured numerous surgeries, radiation, and chemotherapy treatments. Through it all, whenever possible, he attended school and was happy to be with his Killam friends. Currently, he attends school on a part-time basis and is doing better, although some days are more difficult than others. He is able to participate with his classmates for some parts of his school day, and loves attending Physical Education class and having choice time with his classmates. Ottavio’s classroom teacher, Nina Balfe, shown here in this photo with Ottavio has made a difference in his life. Throughout this entire year, Nina has shown extreme dedication, compassion, and support to not only Ottavio, but to his entire family. She has been his number one advocate…doing whatever she could to make him feel safe, happy, and welcome. Additionally, Nina has also done everything she could to be sure that Ottavio could receive all the services that could be provided to him. She even tutored him after school on the days he was well enough to do so. Nina also knew the importance of supporting all of her other students as they watched their friend go through this very difficult time. In working closely with his doctors and his family, Ms. Balfe adopted a class mascot stuffed monkey named Steve to keep Ottavio’s spirit alive within the classroom when he cannot be there. 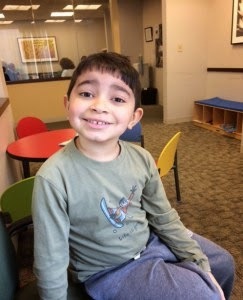 His classmates have been extremely helpful, kind and caring in taking care of Steve. The monkey travels everywhere with her class. She even had her first graders share at a recent all school assembly why they carry Steve with them throughout the school day. The Killam PTO and community have also been supportive and have sent generous donations for the family. They were able to connect with an organization, Family Reach, who will sponsor a marathon runner, Jason Beulow, who will run at the Boston Marathon this Monday on Ottavio’s behalf. The money Jason raises will be used to help offset Ottavio’s medical expenses. 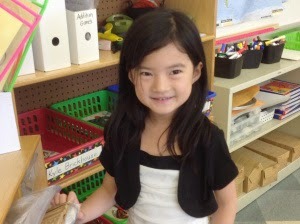 Meet Huixin (“who-sin”), a 2nd grader at Barrows currently in Mary Ellen Mauriello’s classroom. She came to Reading from China last year as a 1st grade student speaking no English at all. Huixin has made amazing progress through the supports provided by her classroom teachers, her ELL teachers Carla Pennachio and Karen Hall, and her connections with her peers. 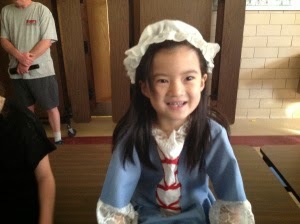 This is a picture of Huixin dressed as Betsy Ross at her 2nd grade Wax Museum presentation day. With the help from her mother, Huixin handmade (not with a sewing machine) her Betsy Ross dress for the Wax Museum AND made the hat all by herself. In addition, she completed research and wrote a report about her historical figure. Huixin is remarkable and is speaking, reading, writing, in English, has a wonderful collection of friends, participates actively in class, and is a great artist. She is truly a success story! Holly is an eighth grade student at Coolidge Middle School who has struggled at times in school. In December, Holly had the opportunity to participate in Challenge Day, a full-day event in which 8th grade students and adults alike broke boundaries between each other, walked a day in each other’s shoes, and ultimately, learned to appreciate each other for who they are, rather than judging them by their stories. Holly embraced this experience. She opened up about herself, talked about the challenges in her life, and even stood and sung in front of 80 of her peers and 20 adults. The teachers who attended said that particular moment was emotional and powerful and that the entire Challenge Day experience had a significant impact on everyone who attended. This learning opportunity would not have been possible if it were not for Coolidge counselor, Marlene Lifshin, who wrote a Reading Education Foundation grant to bring Challenge Day to Coolidge Middle School. Ms. Lifshin also co-teaches a Project Adventure class, which encourages students to step out of their comfort zones, and embrace their uniqueness. Recently, Marlene challenged her class to remember the message of Challenge Day and to come up with their own message on empathy, which was one of the key themes of that Day. Holly embraced the challenge and wrote her own song, performed it, further celebrating her comfort with who she is, her strength, and her growth. Her song, called Empathy, is on You Tube (see below) and is beautifully written and sung. Brandon is an eighth grade student at Coolidge. Not too long ago he was stumped on what to do for an art project. He sat, staring at a collaged paper he had made for an entire class period, wondering what to do next with it. Day number two, he still sat pondering. His art teacher, Sarah Doane encouraged him saying, “Sometimes if you just make a mark on the paper, it will help get you started. It might inspire you to turn it into something specific.” His white line of paint turned into a series of birch trees. 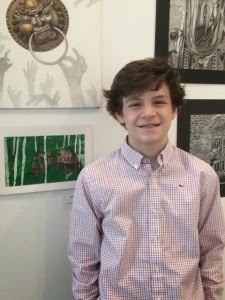 Brandon, shown here with his art work, received a National Silver Medal in the Scholastic Art & Writing Awards for this piece of art. He will be accepting his award in June at Carnagie Hall in New York City. It was the encouraging words of Sarah Doane that enabled Brandon to persevere. 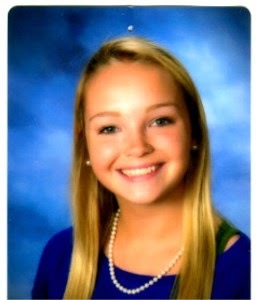 Last, but certainly not least, meet Kaitlin, a senior here at Reading Memorial High School. Currently she is taking college level courses at North Shore Community College while simultaneously finishing her high school diploma …. All with the support of RMHS Teacher Catarina Angelou. Kaitlin has struggled academically and emotionally since elementary school and has become, with supports and patience during her K-12 years, a proud young woman who will graduate from Reading Public Schools thankful for all that have been offered to her in her time here. Recently, Kaitlin was asked to reflect back on her entire school career. She noted that Killam Elementary School was a home for her. Each day, she was greeted warmly by her principal Cathy Giles, and Killam Office Staff, Denise Iozzo and Priscilla Osterlind. She also shared that her 2nd grade teacher, Maureen Gilman always provided a safe haven for her. Kaitlin says that feeling of emotional safety continued when she entered Parker Middle School and met Parker staff members Gerry Gomes, Eric Hiltz and Diane Ketlak. Each of these staff members helped her balance her home life and peer struggles which followed her into school each day. They helped to ease her transition into RMHS where Kaitlin found academic inspiration in a History course taught by Dr. Jeffrey Ryan and a mentor in her Latin teacher, Danja Mahoney. She was challenged with the structure and rules of the classroom but, she is the first to admit, these were challenges she fully embraced. Reading Memorial High School became a secure place for her to be herself, grow and achieve with teachers like Jen Hagopian, Harlan Kroft, Steve Padovani and her guidance counselor, Sara Meunier. Julie LaCasse stuck with her in Math and never let her give up on herself. Outside of the school day, after first expressing hesitation, Kaitlin found her voice with RCASA and was supported by the adults in the program including Tom Zaya, Erica McNamara, and Julianne DeAngelis. School Resource Officers Corey Santasky and Mike Muolo watch out for her in the community. Even adults who have never officially had Kaitlin continue to reach out to her. Mike Scarpitto always greets and laughs with her as does custodian Mo Hillis. Secretary Pat Shields puts aside whatever she is doing to make time for Kaitlin so that she feels welcomed. Ottavio, Huixin, Holly, Brendon and Kaitlin all have something in common. They have caring adults in the Reading Public Schools in their lives who believe in them, coach them through challenges and struggles, and allow them to blossom. More so, these adults do these types of things because they know and believe it is the right thing to do for their students. It is in their DNA as an educator. These students remind us that, we, regardless of our role, make a difference in the lives of our students each and every day just by being here, saying hi, smiling, and being supportive. Sometimes having a safe place to go and getting a little inspiration is all a young person needs. We have over 4400 students in the Reading Public Schools and each of them have their own unique story to tell. All of them have had someone in their lives who have made a difference. Our teacher’s role is to unlock the potential in our students, connect with them, support them through challenging times and help each of them reach their potential. Why do teachers do what they do? They are here because of the impact that they can have on their students’ lives. At times, the work is challenging, but they persevere, because they know the outcomes are priceless. Our teachers have entered education and have been called to this profession because of the Ottavio’s, Huixin’s, Holly’s, Brendon’s and Kaitlin’s of this world and the inspiration that they provide to us as educators each and every day. As we celebrate Teacher Appreciation Week, please take a moment and thank a teacher for the work that they do each and every day with our students. On behalf of the Reading Public Schools, thank you to our teachers for being part of our school district, thank you for what they do each every day for children and thank you for the impact that they have on those students who come to school because of that one adult who they have connected with in our schools. John Doherty is the Superintendent of Schools for the Reading Public Schools in Reading, Massachusetts, a Pre-K-12 school district of approximately 4500 students North of Boston. John received both his B.S. in Biological Sciences and his MEd. in Curriculum and Instruction from the University of Massachusetts at Lowell and he received his Doctorate in Educational Leadership from Seton Hall University. 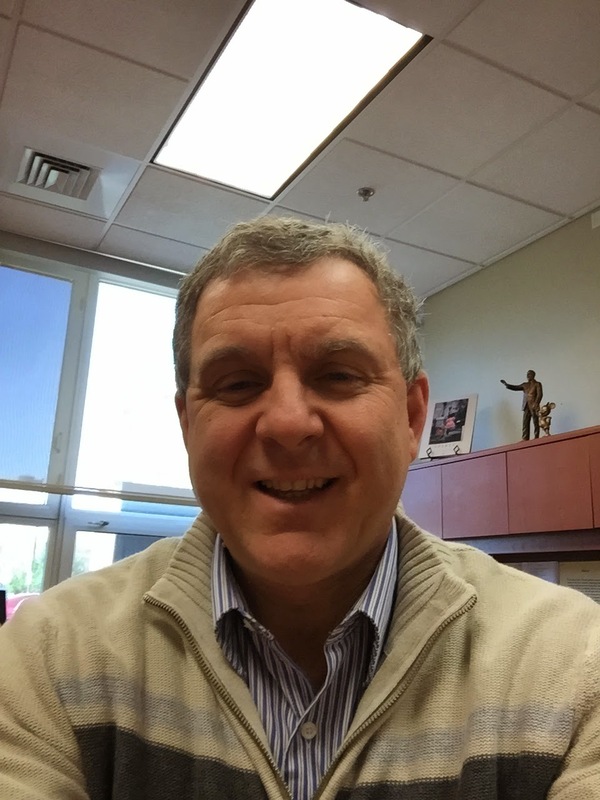 He has been an educator for 32 years and currently teaches a graduate level course to Reading teachers called Expanding the Boundaries of Teaching and Learning, which supports teachers in making the transformational shift in the classroom where students have more ownership for their learning. Dr. Doherty has presented and has been a panel member at several local, state, and national conferences on a variety of topics including educator evaluation, school culture, increasing district capacity, and technology integration. This article was originally posted on the author's blog Pathways.